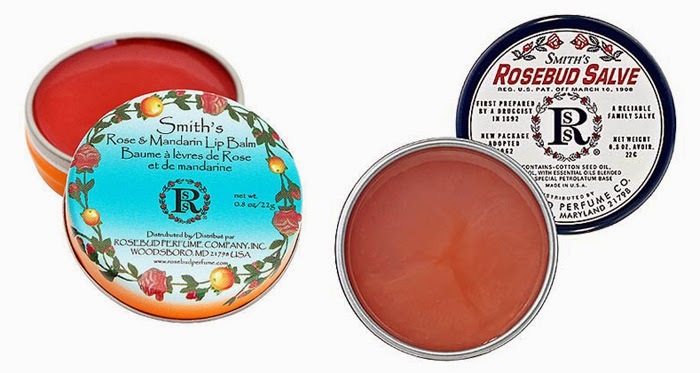 The Smith's Rosebud Salve is widely known as super popular good stuff and I don't disagree. I love this balm! It's a classic beauty staple and I use mine to the very last bit. I like that it has a sheen and looks like lip-gloss, but still hydrates your lips. Strangely, I wasn't as fond of a new version. I got Smith’s Rose & Mandarin Lip Balm in a sample kit and I was super excited, but I'm halfway through it and convinced that it's making my lips worse. My lips have been super dry lately and I applied this religiously every night. It's possible my lips are too sensitive for this version. It tingles very slightly sometimes and I end up with the same dry lips or worse in the morning. The smell is a little stronger and as I get older, my skin gets weirdly more sensitive. This Beauty Bee Lotion Bar has been a definite "lip-saver." It literally fixed my crazy chapped lips in two or three nights. It's super thick and incredibly moisturizing. I got it at a BUST Craftacular, but I didn't use it for while since, as a hand lotion, it gets greasy and can leave marks on my desk. As a nighttime lip balm, I'm obsessed! These days, I'm also into African Black Soap. I was skeptical, but I totally credit it with toning down random rashes that suddenly appear. It also works well for shaving and as an exfoliant. It feels odd when you first start using it since it lathers in black and leaves my tub sort of dirty, but it smells great and you're obviously squeaky clean after. I'm glad someone I know reviewed black soap! I've been hearing a lot about it lately, and actually bought some, but am nervous to use it! Yeah it's kind of weird, but I like it a lot! 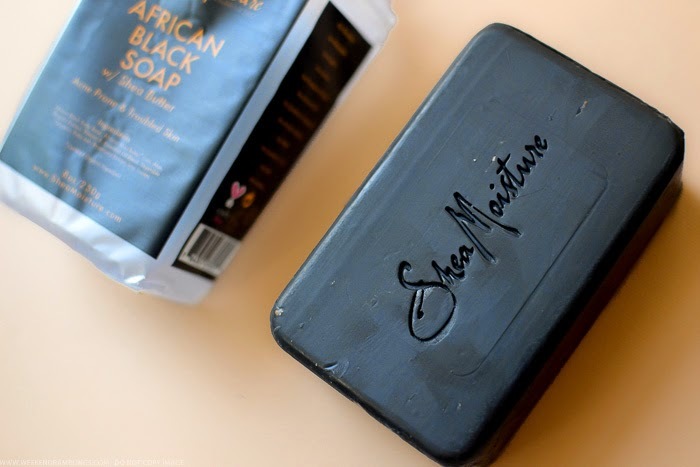 I've seen black soaps here and there, but I've never tried one. Maybe I'll give one a go this winter, my skin always gets terribly dry and sensitive when it's really cold out. Yeah I ran out of soap and I'm not sure I'll go back to body wash, I need to get another bar. I think my skin got kind of dry the first time I used the black soap but it got used to it pretty fast and felt more moisturizing.